Today we returned to our beloved seminary after the fire. Psalm 137:3 reflects the spirit of what we've gone through ... like those in Babylonian exile, it is hard to "sing one of the songs of Zion ... in a foreign land." It just isn't the same. Yet we are thankful that we can sing praise to God who is everywhere ... from anywhere. And the ABC District Office and CUCA have been a great second home where we built new bridges and relationships, singing songs of joy amid our loss. In Ezra's day, when the rebuilt (second) temple was seen by those returning from exile, there were two kinds of tears -- those of joy over the return and restoration mixed with and indistinguishable from the tears of sorrow in the memories of what had been lost (Ezra 3:13). We may have a mixture of tears as well ... we are back home, but it isn't yet quite the same. 1) The library is closed, and likely will be for the remainder of the calendar year and possibly some time beyond as we adapt the facility for better use after the fire. 2) The study areas are still being cleaned as well. For now, the Eberhardt room will be open for study when it isn't being used for class. 3) Some of the supplies in the food pantry are clean and useable. Other things were not salvageable. God has provided; he will "re-provide." 4) Our habits and patterns need adjusting: more new spaces, new settings, new adjustments ... but, God is good and will guide us. We again want to indicate our thanks to the ABC District and CUCA for helping us during our time away from the seminary. Thanks be to God in our midst ... our eternal strength, even in the upcoming days of readjustment once more. I am confident that God has used this for growth and good, whether we see blessing in its outcome today or not. As always, things for God's people ultimately point to Christ, who "did not consider equality with God as something to be grasped, but humbled himself" (Philippians 2:6) to come to earth, displaced for us. He was tempted in every way as we are, yet without sin ... (Hebrews 4:15) and will help us in our time of need, continuing to need patience and strength. This is never easy; at the end of the semester, even more so. But God is faithful, and will not give us more than we can endure with His help (1 Cor 10:13). To that end, we have hope and strength from Him. On the evening of November 12, a fire broke out in the basement of the seminary library. The fire department responded quickly and prevented the fire from getting out of control. In an email to faculty, staff, and students, Dr. Jim Gimbel said "although the structural damage is minimal, the heavy soot and smoke damage is a huge mess. 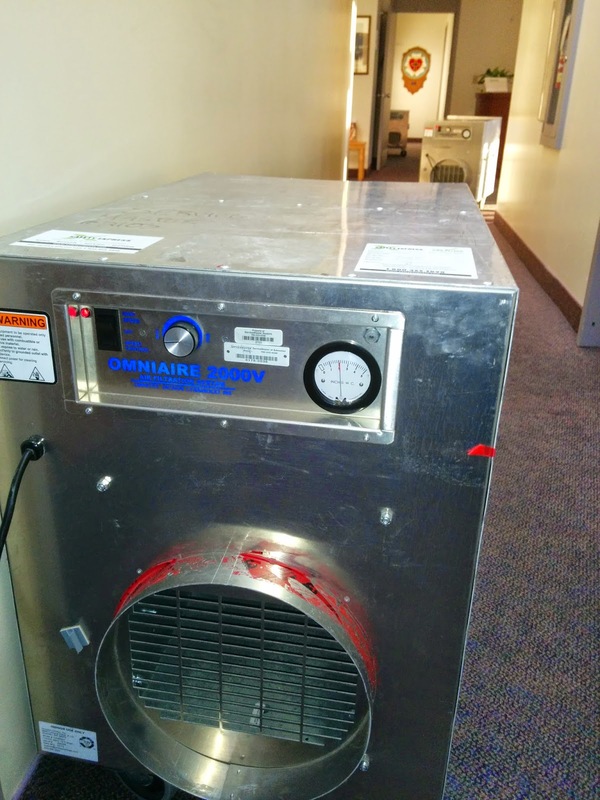 Furthermore, a burned wiring area has messed up the circuit for a major part of our heating unit, so our building is also quite cold." 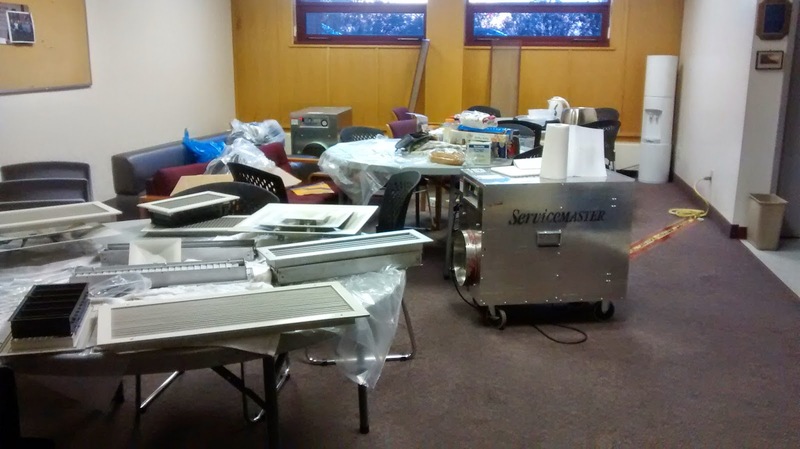 The seminary community has been welcomed by both the ABC District Office and Concordia University College of Alberta, who have offered the use of office space, classroom space, and whatever else is needed during the clean-up and restoration. Seminary classes continue to be held, and faculty and staff are using other spaces for work until November 24 when the offices and classroom areas should be clean and re-habitable. 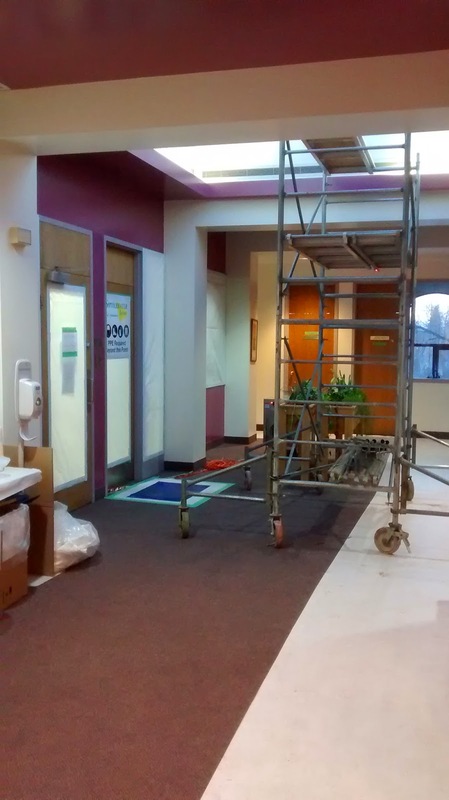 The library clean-up is forecasted to take 6 to 8 weeks. We thank God for His protection in a situation that could have been far worse and are thankful for the cooperation and outpouring of support from so many of you.